Country living will always have a certain appeal. Relaxed and comfortable, Pastorelli Country Life glazed porcelain tile captures the essence of the country perfectly while making it easy to place these beautiful and durable tiles throughout your home. The Country Life collection is crafted to create the appearance of aged hardwood without you ever having to deal with the nicks, scratches, and stains that can damage wood floors. This makes it a popular choice for kitchens and bathrooms, offices, retail space, restaurants, and more. The tile is available in a wide variety of colors ranging from the soft white Bianco, to the dusky tones of Noce. This gives you considerable flexibility when creating the foundation for the room’s decor. 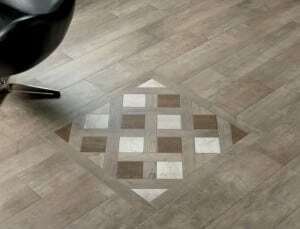 Further, each of the four colors available look marvelous when coupled with customized tile patterns. Doing so allows you to express a touch of creativity that is certain to be noticed when paired with the muted and subtle tones that are the hallmarks of Pastorelli Country Life glazed porcelain tile. We are proud to carry Pastorelli Country Life glazed porcelain tile. Contact us at Conestoga Tile and drop by our showrooms to see for yourself just how beautiful it truly is.